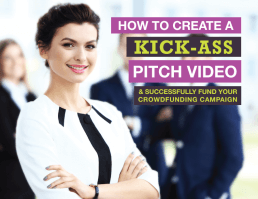 Would you like to run a successful crowdfunding campaign? Then a tailored crowdfunding marketing strategy is key to your success. Whether you run a rewards or equity campaign you will need to build awareness with your crowd and drive traffic to your campaign page. We can help you achieve this and give you the best chance of hitting your funding goal. From email marketing to social media and PR our team are on hand to provide you with the knowledge and expertise needed to manage your campaign from start to finish. Developing a crowdfunding marketing plan that is bespoke to your campaign needs. From concept & strategy to managing your campaign, we have you covered every step of the way. Your friendly crowdfunding promotion team can do it all. What does success look like? We'll work with you to develop a crowdfunding marketing strategy that hooks audiences and ultimately converts into pledges, funding your campaign. Carefully researched, structured and applied, our written and visual content is guaranteed to convert your social following into backers and make your campaign stand out against the others. We work with you managing your campaign. From Pre-launch to Live-Launch and beyond. Co-ordinating teams to ensure your message is consistent and delivered accurately. We guarantee to treat your campaign as passionately as you do and this is our promise to you. Running a Crowdfunding Campaign on Your Own is Complex &Time-consuming. Let’s make it simple.